When discussing fast Internet options in the US, Verizon’s FiOS service is usually near the top of the list. Sure, it’s not a quick as a 1Gbps fiber connection from AT&T or Google but it is way better than what most people have access to. Even 1Gbps will soon pale in comparison as some companies are working on 10Gbps technology. Yet even that will be slow compared to a new technique Nokia recently demonstrated. The field test, which actually took place last week but wasn’t widely reported until now, involved Nokia Bell Labs, Deutsche Telekom T-Labs and the Technical University of Munich. 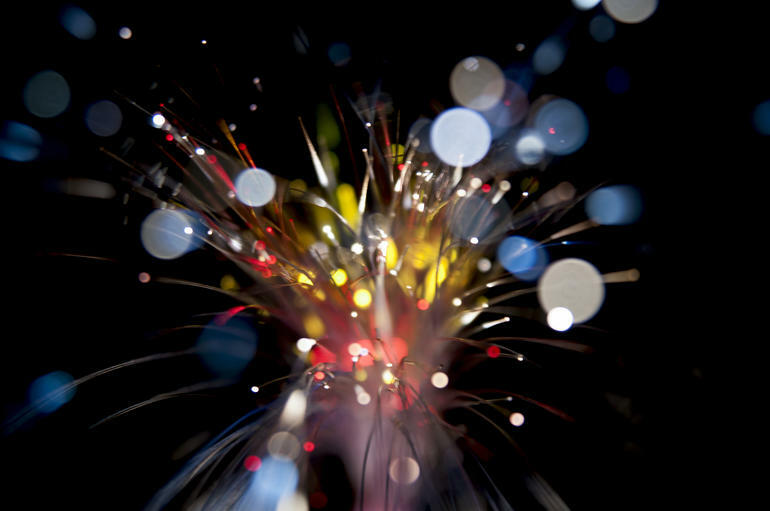 Using a technique called Probabilistic Constellation Shaping (PCS), they achieved a net transmission rate of 1Tbps (1,000Gbps) via fiber connection. That’s close to the theoretical maximum information transfer rate – the Shannon Limit – of an optical fiber network and makes FiOS look like a dial-up connection. As the Technical University of Munich points out, the trial used quadrature amplitude modulation (QAM) formats to achieve higher transmission capacity over a given channel to significantly improve the spectral efficiency of optical communications. While most of us would give an arm and a leg for a 1Tbps connection to the home, that’s not what they’ll be used for (at least, not for a while). Instead, as ZDNet notes, such pipelines will help meet the growing demand for higher-capacity networks (for which we can thank streaming and our mobile data addiction).